Very Good. 055337821X Ships promptly from Texas. Good. 055337821X Ships promptly from Texas. Good. [ No Hassle 30 Day Returns ] [ Edition: Reprint ] Publisher: Bantam Pub Date: 3/1/1996 Binding: Paperback Pages: 352. Good. Corners are bent. Used-Good. 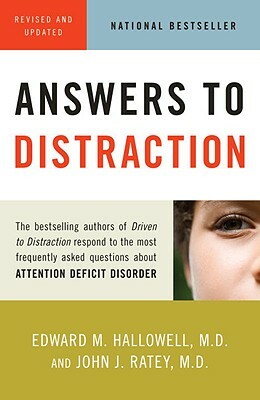 This book is a must if you've read Driven to Distraction. It is a great reference for answers/solutions to ADD. Easy to read and relate to. Many ideas to practice with children and adults as well. The book arrived in a timely manneer and in great condition. I would reccommend this book to friends, family, students, and school employees.